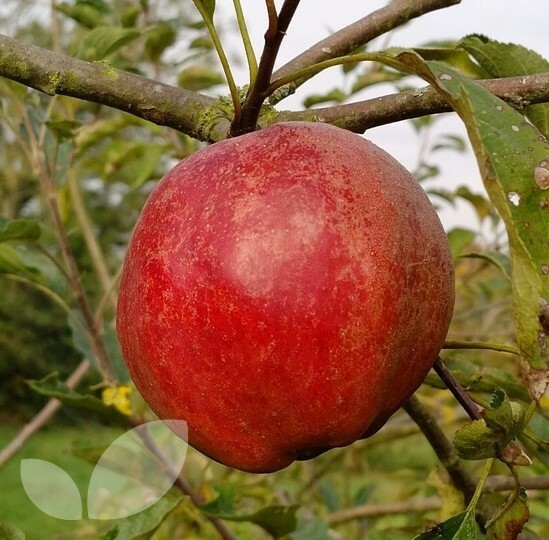 Dessert Apple Cornish Gillyflower fruit trees - Found in a cottage garden near Truro, Cornwall around 1813. The tree is tip bearing and produces very few spurs. Ground colour greenish to yellow becoming a golden yellow when ripe. One half flushed with orange to red. Oblong-conical medium size fruits that are richly flavoured. Picking time mid October. Pollination group 4.